It's time for target practice! Zing Toys' Double Shotz includes 2 Pop Shotz Blasters, each with 3 foam darts and 6 foam target cans. Get set for competition or blast away with both hands! It&apos;s time for target practice! 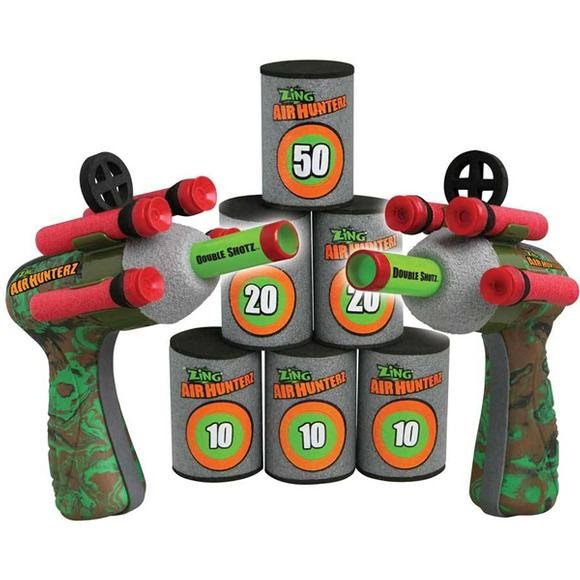 Zing Toys &apos; Double Shotz includes 2 Pop Shotz Blasters, each with 3 foam darts and 6 foam target cans. Get set for competition or blast away with both hands!